In the opinion of this author, film is a particularly effective medium when it is used to convey the range of human emotions. Well-crafted films that focus on a particular human activity tend to find the humanity in them. Films like “Black Swan” or “Moneyball” take us inside a world that is foreign to most of us and their success is found at portraying the environment as realistically as possible while focusing on the human element that defines it. Black Swan is not some kind of expose about the lives of ballet dancers, but rather about a particular instance inside this world: a young girl that loses her head due to the pressure she is subjecting herself to. Successful film makers usually try to bring light to a certain activity through an exploration of its human ramifications, often focusing on peculiar stories that may or may not be representative of the whole or that, in fact, are purposely different to the norm. I start my post with that brief introduction to better understand my mixed feelings towards “My Architect”, one of the few films where architecture is central to the story not because the film-maker has a particular affinity to the profession, but because he, director Nathaniel Kahn, uses it as an instrument to try to understand his father, the late Louis Kahn, one of the most famous architects of the last century. Moved along by Nathaniel’s narration, the film could also be considered a sort of personal biographical piece about the famed architect. His life is viewed from a rather skewed perspective that is informed by the director’s unresolved relationship with his late father. 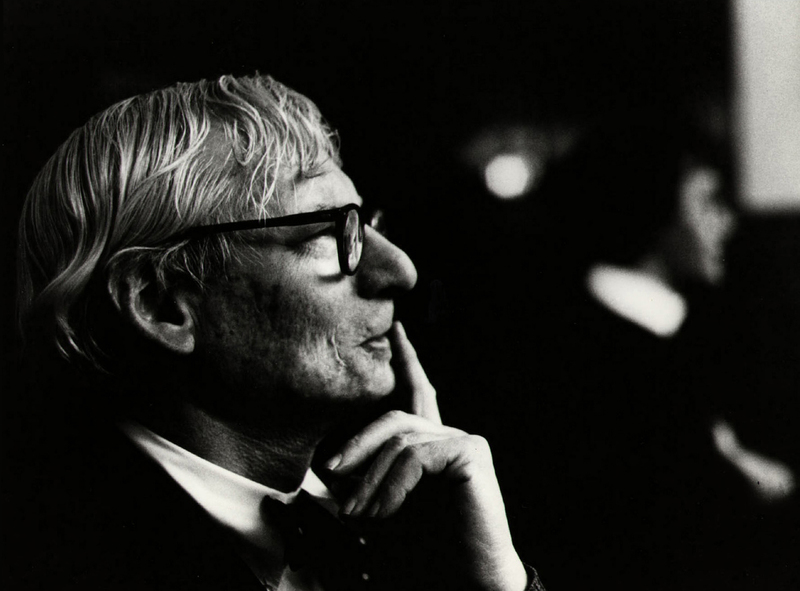 As most text books tend to do, the film focuses mostly on the latter stages of Louis Kahn’s life, as he was finally able to carve himself a place of relevance in the practice after many years directing a modest and struggling firm and, with that, a life of total anonymity. Nathaniel makes a film based on his experiences growing up as a child that had to deal with a largely absent and much older father that visited him on rare occasions, whenever he had the chance to get away from his “other family”, the “official” one. Though celebrated professionally, the film dares to explore the man behind the myth, often comparing the greatness of his architecture to the misery of his personal life, as his own son tries to understand how a man of such intelligence and talent could not manage to sort out his personal life. This is an exploration that takes Nathaniel around the world, searching for Louis Kahn’s most renowned buildings. By visiting them, Nathaniel aspires to find something of value that could say more about his late father. He is not necessarily searching for answers or closure, but he uses architecture as a means of communication with his father, perhaps making up for all the conversations they could not have when he was still a child. There are moments in “My Architect” where Nathaniel’s feelings genuinely come to the fore, moved by the buildings he explores. He, unlike us, has a personal connection with the structures, one that is easy to relate to, even if the audience is not particularly interested in the profession. My Architect is, therefore, a film that is visually dominated by architecture but emotionally driven by a son’s desire to find a connection to his father. However, Nathaniel’s quest seems a bit far-fetched, often finding difficulty in communicating the significance or insignificance of the experience, failing to explain to his audience what his father represents to him and how he was as a man. It becomes clear from early on that Nathaniel has a rather peripheral interest on architecture which, in turn, undermines his narration and forces him to rely on interviews with some of his father’s colleagues, clients and other family members. It is interesting, however, that much of the narration takes place as images upon images of Louis Kahn’s buildings flood the screen. It is a montage that displays Nathaniel’s keen eye for composition, lending his camera in favor of capturing the details of the materials and of sunlight moving through space and time, interacting with Louis Kahn’s carefully crafted spaces. As it is to be expected, Nathaniel leaves much of the emotional poignancy of his narration until he reaches the pinnacle of Louis Kahn’s career: The Salk Institute in California. The camera treats it as if it were a temple: pristine, majestic and quiet in its simplicity. It stirs the director’s feelings as easily as it has moved generations of visitors for many years. 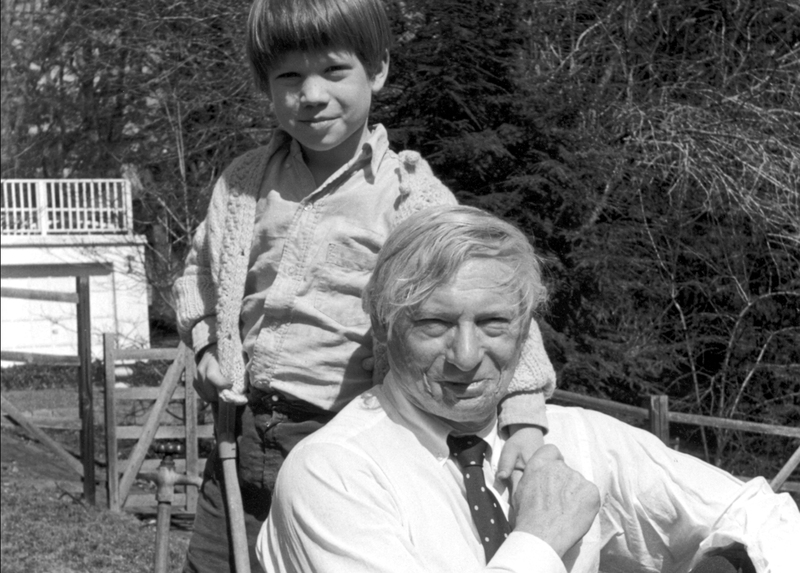 It is as Nathaniel manages to bring the best from a building while unraveling his evolving relationship with his late father that “My Architect” finds its true power; inspiring us to appreciate our fathers a little more, and maybe even get us to visit Louis Kahn’s masterpiece in California. More often than not, the emotional baggage that comes with the director and his relationship to his late father fail to relate and translate well through architecture, though the imagery presented to us minute after minute is certainly beautifully composed and wonderfully captured. Interesting post. I agree with you about how some films allow you an insight into something that you are completely alien to, and yet they make you feel like an old friend. Sign of a good film! Thank you sir. “My Architect” is worthwhile, not remarkable but good enough. Being interested in architecture probably helps to appreciate it a bit more. I had never heard of this film Niels, but wow this sounds like one I should check out. “My Architect is, therefore, a film that is visually dominated by architecture but emotionally driven by a son’s desire to find a connection to his father.” You sold me with this statement, that’s cool to see a film that speaks to you on a personal level. It’s worthwhile for sure. I didn’t think it was anything special, but certainly an interesting documentary about a very unique and talented individual. Glad you appreciate these posts.